€36 from Jus de Vine, Portmarnock; 64 Wine, Glasthule; Redmonds, Ranelagh ; The Vintry, Rathgar ; Grape & Grain, Leopardstown; Clontarf Wines; Sweeney’s; Thomas, Foxrock ; Shiels, Malahide ; McHughs; Wine House, Trim. A large certain section of the Irish population buy Chablis every Christmas simply because it is a safe recognisable name. Nothing wrong with this, although the cheap supermarket versions are not exactly thrilling and there are plenty of far more interesting alternatives. 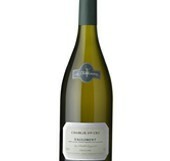 Unless you come across a really good Chablis such as this one. 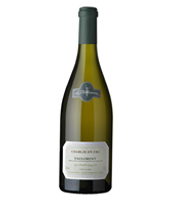 Fresh and floral on the nose, with a fine racy minerality and lightly honeyed peach fruits, finishing long and dry. Wonderful wine, and perfect to start the Christmas fesitivites. Drink alongside smoked salmon, prawns and other seafood, but ideally I would like a half-dozen oysters.